The time has come. For those of us sitting on the northern hemisphere, temperatures are dropping, the nights a are drawing in, the leaves are falling and turkeys are looking nervous. Australia starts to make sense. Or at least it would if it wasn’t for the opportunity to forget the seasonal madness and play Eve instead. Eve too has its seasons. The Summer of Sov, The Fall of Jump Fatigue, the Winter of CSM Discontent and the Citadel Spring. And that of course will bring us back to summer. But what will summer 2016 be remembered for? Perhaps it will be the summer of unintended consequences. I will try and explain. CCP haven’t defined what next summer will bring. There have been hints here and there around PVE, skills, skill books and blueprints but nothing has been formally announced. However, our minds might potentially be on other things. 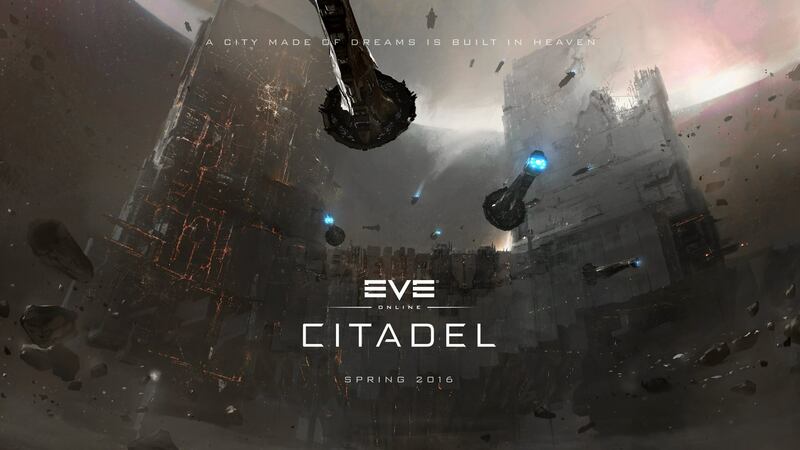 Summer follows he first formal expansion by CCP since they adopted the current development cadence and the impacts upon New Eden will be starting to take form. The changes in sovereignty, structures and capitals will hopefully coalesce to induce a frenzy of activity that refreshes the landscape and experience Eve. They are not trivial changes. The discussion and speculation, such as it has been has been along traditional lines, and has focused on the influence the changes will have on the struggles and politics of lowsec, nullsec and wormholes as these are considered the primary beneficiaries. I would like to offer a slightly different view. A view wrapped up in tinfoil certainly, but maybe not completely implausible. Before we get into the detail, there is a mental hoop I would invite you to jump through. Let us start with the H word – highsec. Everyone has an opinion about highsec and about what it should and shouldn’t be. This isn’t that lecture. For now, let us accept that highsec just is what it is and consider it in the context of the whole of New Eden. Now for the really awkward bit. We think of New Eden as a universe and visually it gives that impression. However, a more realistic model might be to regard New Eden as a city state. 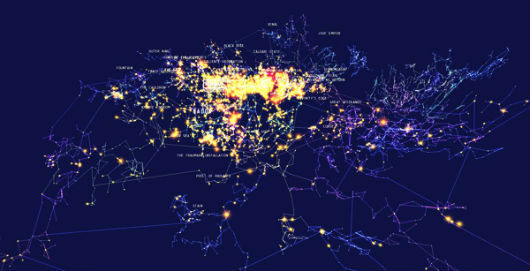 That is to say, it is a sovereign urban centre with dependent territories. The urban centre being highsec where commerce and the plush suburbs exist due in no small part to the security offered by the sovereign NPCs. It is served by an industrial hinterland that stretches from the edges of highsec to the depths of lowsec and surrounded by the rural pastures of nullsec. Wormholes being the hiding places of the non-conformists, survivalists, brigands and hippies who seek detachment from (but still ultimately depend upon) the city state meta. I appreciate this might seem a far-fetched proposition and likely doesn’t resonate with your own experience, but it does help explain a few things. For example, highsec is everyone’s guilty little secret. If you don’t have an alt parked here you will likely have a jump clone, if only to sell your loot or products or to buy and fit your next weapon of war. If you don’t, it will be because your corp or alliance does or has an arrangement with someone who has. Then again consider the battles that occur outside of highsec. These have no impact on the sovereignty of highsec. They are effectively local disputes between neighbours and landowners. These resolve quickly because war in this context is bad for business. While you are fighting, someone else is profiting. Stop fighting and you can return to profit making activities. Digressing even further, if there were two High sec City States sharing the same surrounding territories, the business case for state sponsored war becomes meaningful. To labour the point, highsec and its sovereignty over New Eden is important. If you accept any of the above, you might still think of it is an interesting intellectual exercise but fundamentally irrelevant to shooting people in the face. Let me try and persuade you otherwise. Now for the C word: Citadels. Citadels can be built anywhere. Large and Extra Large Citadels can have markets. Ergo you can build markets in highsec. The person who controls the markets, controls highsec. Whoever controls highsec, controls New Eden. In summer people will be building Citadels. Only financially well-endowed entities are going to be building the Large and Extra Large Citadels because of the cost, and they will be looking for returns on their investment. Fortunately for them, they won’t have competition from small groups because of the currently envisaged lack of market service functionality for Medium Citadels. So the big boys can muscle their way in. The tax rates for citadels can be set to undercut the NPC market rates. I doubt if the NPCs will respond especially as it seems CCP have the desire to diminish the role of NPCs in Eve. So traders will be quickly enticed away from Jita 4-4 for example because of the better profit margins. However it might not be that simple. Citadels offer the owner granular control over who can and can’t have access to the services it provides. If a trader doesn’t match the owner’s agenda they can be excluded or alternatively market prices can be fixed and manipulated by cartels. The owners could take an even more aggressive stance by targeting those who pointedly refuse to use their markets. This might be a new revenue stream for the wardec mercenaries but on the other hand, an owner isn’t going to want a mercenary group sitting on their own citadel undock disrupting business. Perhaps they might want to keep the thuggery in-house. On a more strategic level, competitive entities will be seeking to establish their own Citadels to rival their competitors. The obvious place to build one would be in Jita, if only because of the footfall and access to materials from the NPC market. Jita could really be burning in summer as rival nullsec entities constantly build and destroy each other’s Citadels in an attempt to control that market. The impact on highsec and its population could be profound as it ceases to be the place we are currently familiar with, and that will have ramifications for the rest of New Eden. Put simply, if you have a bunch of loot you can’t sell because the markets are in flames then you might be struggling to replace the last ship you exploded. This is of course fanciful tinfoil speculation based on an unproven premise. But the economy and the market underpin the New Eden we know. Meddling with that by removing sovereignty from NPCs will be disruptive in a way isn’t fully understood. The summer of 2016 could be the summer where null, low and wormholes are quiet and capitals remain docked because the war will be in highsec.